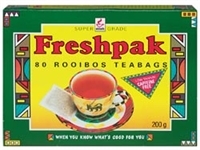 Freshpak Rooibos Tea 200g - 80 tag less tea bags ( Bush tea, red bush tea ). Aspalathus Linearis part of the Fabaceae family. 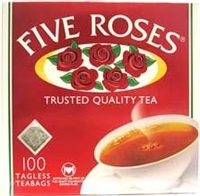 South Africa's most popular rooibos. Rooibos tea ( often referred to as bush tea or translated to red bush tea ) has a unique, full bodied and slightly sweet herbal fragrance. Rooibos tea can be drunk hot with or without milk OR made into iced tea for a refreshing summer time drink. Add some sliced fruit, honey or mint leaves for something extra special or even some soda water for a healthy fizzy drink. (More recipe ideas below). Naturally dried by the African sun, Freshpak Rooibos is known for its rich colour, warm aromatic fragrance and sweet natural flavor. Q: I assume this is not organically grown, as it doesn't mention, right? 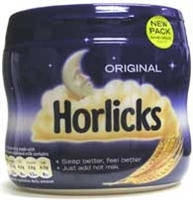 Also says contains flouride, which is not a good ingredient. A: Freshpak is not an organic brand and the fluoride is naturally occurring which is very good unlike a fluoride additive.